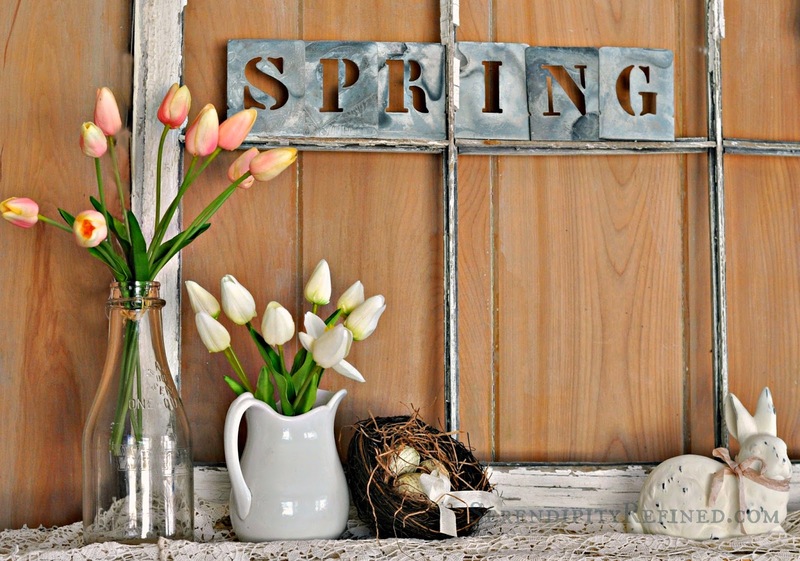 Is anyone else getting a slow start on spring this year? I am. 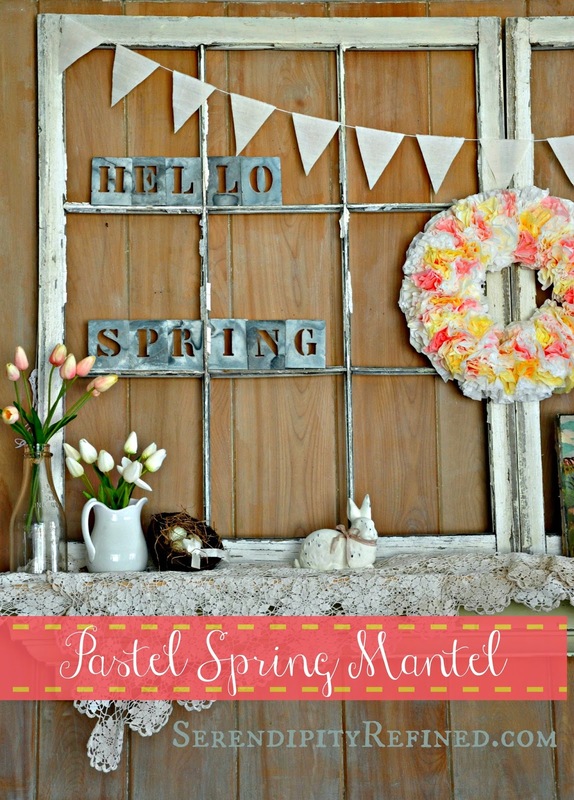 I decided to put together a quick, pastel, spring mantel this week to add a little color to the living room. It's not just the gray of winter that is wearing on me, it's also the fact that I was afraid that if I didn't decorate the mantel this week, I'd completely miss the opportunity to do it before I tear the wall out next month. Yes, you read that correctly. It's spring...which means that we'll finally be able to move forward with renovations here at the French farmhouse and the temporary shelf that has been acting as our mantel will be removed (along with the wood paneling that covers the wall) in preparation for the new sandstone mantel and hearth that will be installed this summer when our former living room officially becomes the dining room. 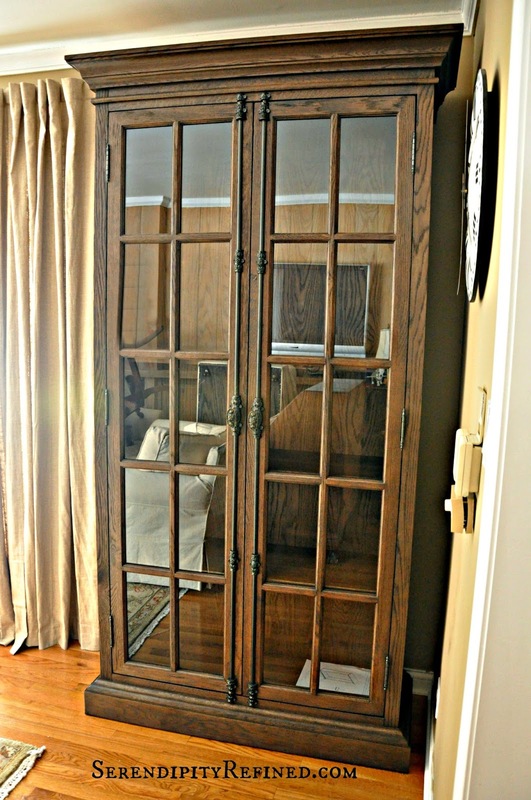 Which reminds me, I forgot to show you the fabulous French Casement Cabinets that I scored at the Restoration Hardware outlet in January. There are two of them. They are 42 inches wide and 92 inches tall... and they were seventy percent off! How could I possibly resist!? There will be one on either side of the window seat in the dining room and they will be used to store china and glassware. One of them had some damage on the inside of the door which was repaired but it doesn't show and even if it did, at that price, I'm not certain that I would have minded! 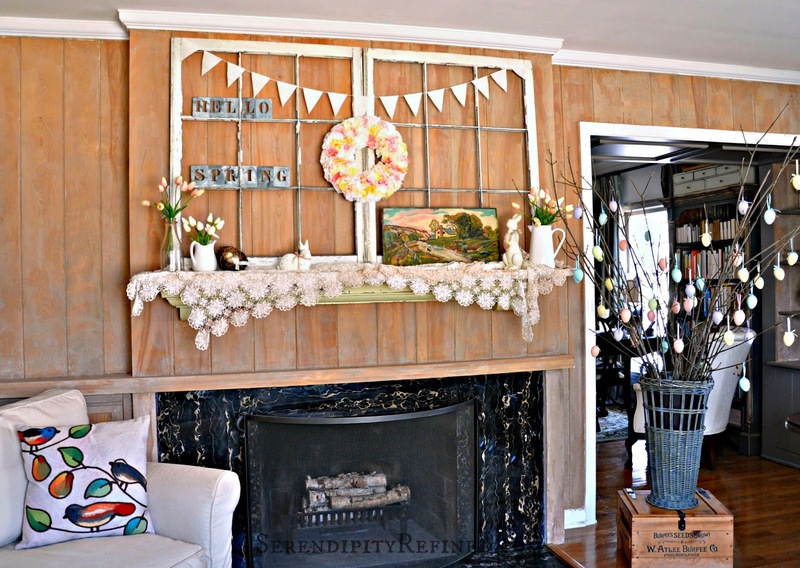 I've been so busy collecting pieces for the farmhouse that I'm going to have to do a couple of posts to catch you up on what I've found...but for now, let's get back to the mantel. ...or until I get a dumpster...whichever comes first! 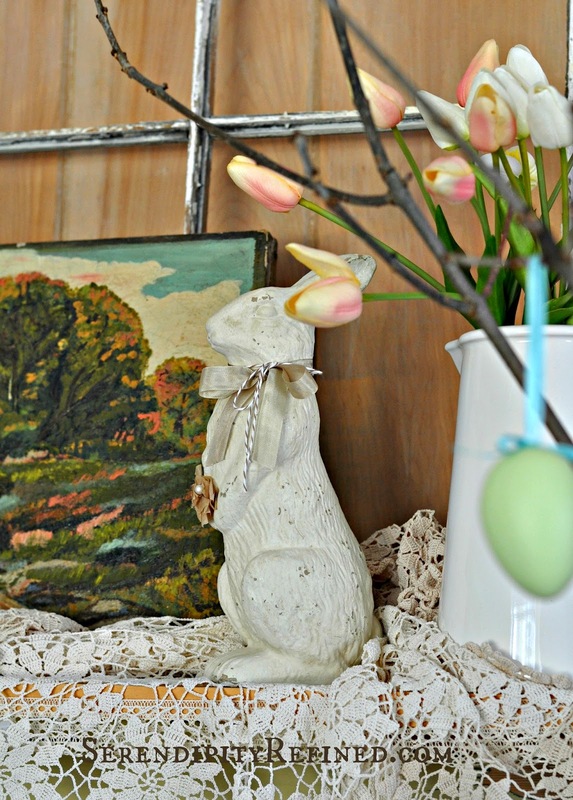 The smaller bunny above is a ceramic statue that I painted with Annie Sloan Chalk Paint and distressed slightly so you could see the brown color that he was when I purchased him on a quick little shopping trip to Carter's Cottage in DeKalb with my friend, Mary last weekend. 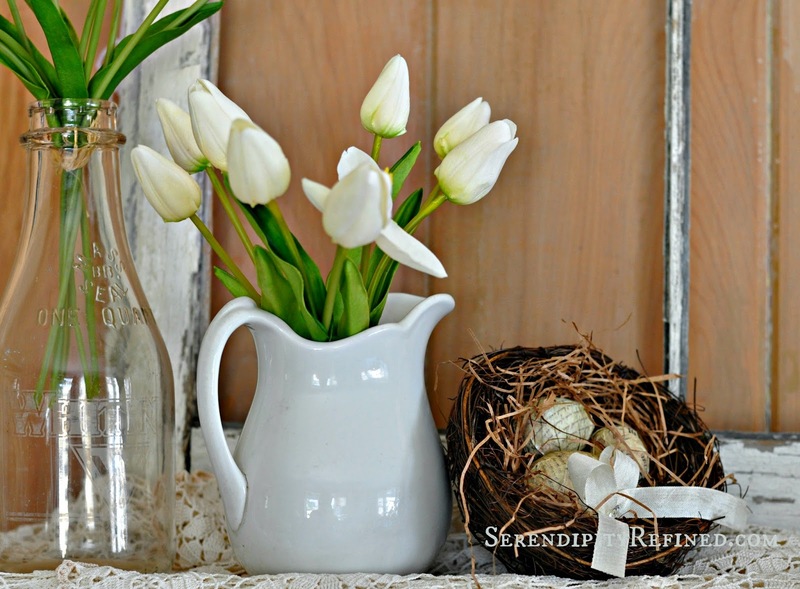 Of course, a couple of pieces of my trademark ironstone made an appearance, as did a bird's nest, some faux tulips, and the vintage window panels that you've seen before in my bedroom at our last home and my Valentine's Day mantel. 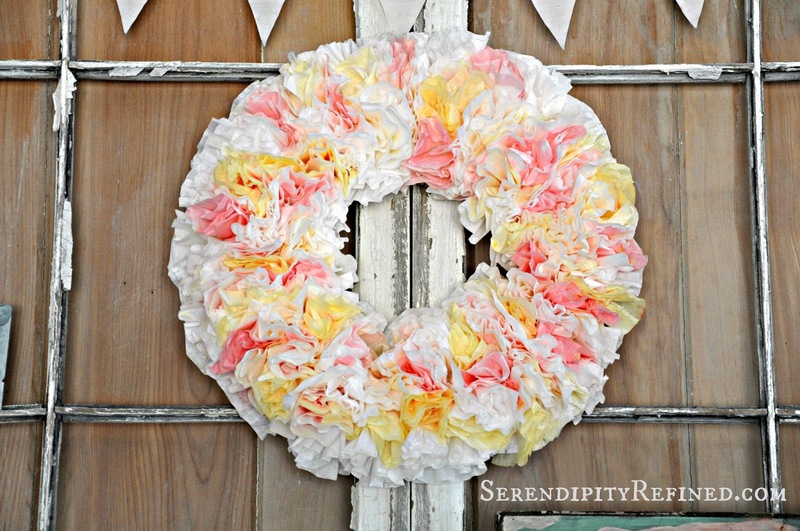 The wreath is made from coffee filters which were water-colored using pink and yellow then hot glued to a form....simple...and under $3! 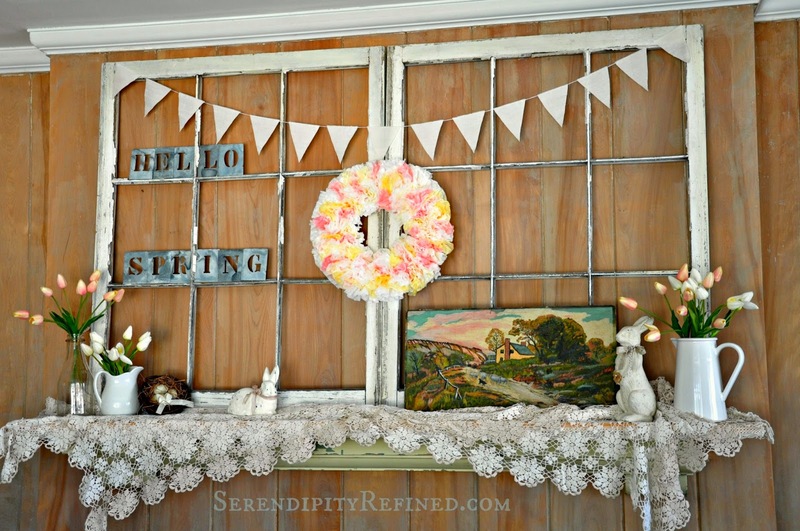 My Grandmother's crocheted lace table cloth, zinc letter stencils, a muslin flag banner that I made and a vintage French pastoral painting round out the rest of the look. 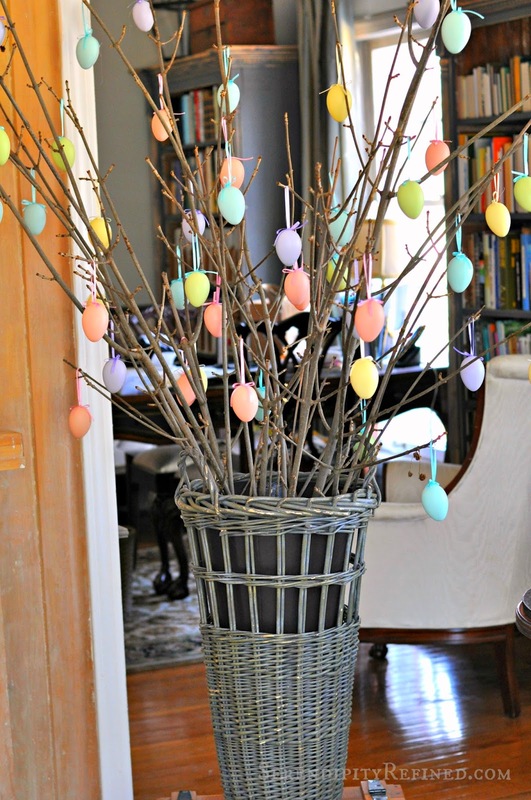 I added a quick spring pillow to the love seat and hung faux pastel eggs from some branches that I got when the tree trimmers were here last week which were placed in a copper lined vintage basket. I'm sure that the tree guys didn't understand why I wanted the branches but they were really nice about allowing me to choose those that I wanted to save before they put the rest in the chipper. Other than creating a tablescape for Easter or a quick spring urn for my front entry, this is going to be the extent of my spring decor for this year. It may also be the extent of my summer decor depending upon how quickly things move for Phase 2. I've spent the last two weeks meeting with our architect, a couple of builders and the village and things are slowly moving forward. I'm happy to report that the engineering survey of the property was completed yesterday and I expect that we'll have final drawings soon....I know...I keep saying this...I think that we're on round 19 of the interior floor plan drawings because I keep moving the bedrooms around. Last week, the master bedroom moved to the other side of the house and the hearth room is now behind the kitchen. I haven't updated you because until I have something final, I don't want you to have to suffer through countless iterations as I tweak the plans....it's bad enough that I'm putting my architect through it! So, Happy Spring, Happy Easter...Happy Mother's Day...etc. I'm enjoying my pastel spring mantel almost as much as I'm enjoying the fact that I may finally get to chainsaw out the bad bushes around my house in another week also in preparation for Phase 2! 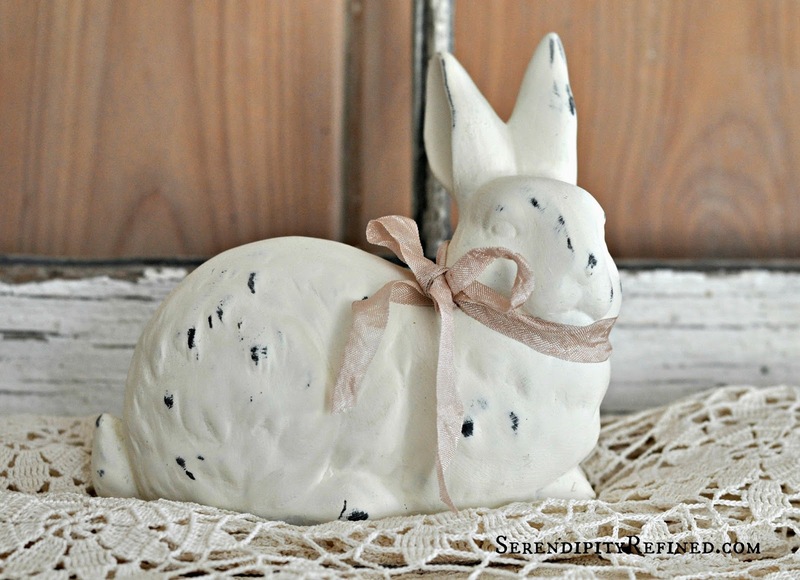 It's been a long, boring winter and I can't wait to start on all of the new changes that are coming to Serendipity Refined and the French Farmhouse this spring and I'm thrilled to have you along!